At temperatures between 0 ° C and -40 °C, below its melting point, water can remain liquid without freezing spontaneously; in this state, water is supercooled. To crystallize, it is necessary the creation of nuclei around which crystal structures can be formed. The origin of these nuclei or catalysts for ice formation is very diverse, ranging from mineral, including airborne dust or sand, to biological such as organic aerosols and bacteria. The phenomenon of bacterial ice nucleation in supercooled water may occur even at relatively high temperatures of -2ºC. 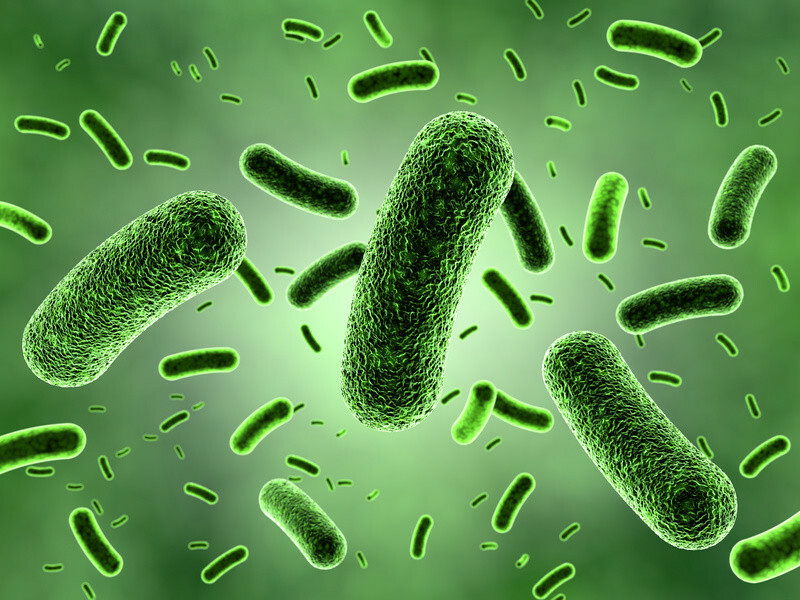 It was observed for the first time in Pseudomonas syringae, but other bacteria such as Erwinia herbicola, Pseudomonas fluorescens, Pseudomonas viridiflava and Xanthomonas campestris also have this property. Such property resides in ice-nucleation activity (INA) proteins, which are placed in the bacterial membrane and have high affinity for water molecules. These proteins have a particular structure with repetitive regions that contain aminoacid residues capable of forming hydrogen bonds at regular intervals. In this way, water molecules can be aligned in a specific orientation to promote the formation of structures with a certain order: ice crystals. These bacteria usually live on the surface of many plants, and given its ubiquity, the phenomenon of ice nucleation is quite common in nature having important effects. The most frost-sensitive plants are adversely affected and eventually die due to the formation of ice crystals in their inside that break cell membranes, allowing the bacteria to feed on damaged plant cells. This causes significant economic losses in agriculture during cold temperatures. To fight frost damage, genetic engineering has been used since the 1980s for removing the gene coding for the ice-nucleation protein. The resulting strains were supposed to compete and displace the natural populations of bacteria with INA, thus reducing the critical temperature at which freeze damage begins to occur. The first field test was conducted in 1987 in the United States using a recombinant strain of P. syringae, which was sprayed on strawberry plants. It was the first Genetic Modified Organism (GMO) to be released to the environment, thus creating some controversy. Still, it was approved by the Environmental Protection Agency. Results did not clearly prove that the released bacteria had prevented frost damage, although many plants of the study might have been shattered by environmentalists. This strategy was further tested in the following years. The second experiment was carried out in potato crops and, in this case, a positive result was observed. However, studies outside the laboratory have been hampered by the numerous protests from ecologists. Still, at present there are commercially available preparations consisting of a mixture of naturally occurring, not modified bacteria with ice-nucleation-minus proteins. They are used in certain crops to control frost damage, but better results could be achieved with recombinant bacteria. Bacteria with INA may have other amazing applications. For example, certain strains of P. syringae are commercially available as additives for the water used in the production of artificial snow on a large scale. They significantly increase the amount of snow produced per unit of time and at temperatures even higher than 1ºC. Current studies also consider the possibility of using these bacteria in the upper atmosphere to initiate ice formation at relatively high, near-melting temperatures, in order to enhance precipitations. This approach is based on the “bioprecipitations”, consisting in a cycle that starts when bacteria form colonies on plants. Next, the wind drags them into the atmosphere, nearby the clouds in the troposphere, and begin to nucleate ice crystals. Water molecules are incorporated into the crystals that get larger and larger, and then fall as rain or snow. Along with the rainfall, the bacteria return to the ground, colonizing other plants and starting the cycle again. Nevertheless, a large number of cells and a very effective method to disperse them in the air under the clouds would be required to change weather conditions. On the other hand, the process of freezing certain food often alters the texture and organoleptic properties when not operating at temperatures around -40ºC, which is a very costly process. To improve the quality of frozen foods, ice-nucleating bacteria can be added. They promote the formation of small crystals that do not damage food cell membranes and the texture of the final product is not very affected. Simultaneously, the freezing temperature is increased and the freezing time decreased, resulting in a reduction in the energy cost of the process. As summarized here, applications of ice-nucleating bacteria are numerous. However, many of them involve the creation of transgenic organisms that must be released into the field. Since it is not precisely known how these GMOs might affect the environment, many tests remain to be done to assess their safety. Once solved this issue, ice-nucleating bacteria may constitute a very useful tool, especially in agricultural biotechnology. The Potential Impact of Ice-Minus Bacteria as a Frost ProteCtant in New York Tree Fruit Production. John Love and William Lesser. NJARE, April 1989. Applications in biotechnology: Field Testing Genetically Engineered Plants and Microorganisms. C. Hagedorn and S.A. Hagedorn. Virginia Journal of Science, volume 42, number 1, 1991. Bacterial ice nucleation: significance and molecular basis. Douglas Gurian-Sherman and Steven E. Lindow. The FASEB Journal, vol. 7, November 1993. Ice crystallization by Pseudomonas syringae. N. Cochet, P. Widehem. Appl Microbiol Biotechnol, 54:153-161; 2000. Ubiquity of biological ice nucleators in snowfall. Brent C. Christner, Cindy E. Morris, Christine M. Foreman, Rongman Cai, David C. Sands. Science, February 2008, Vol. 319. Bacteria in the Leaf Ecosystem with Emphasis on Pseudomonas syringae—a Pathogen, Ice Nucleus, and Epiphyte. Susan S. Hirano and Christen D. Upper. Microbiology and molecular biology reviews. Sept. 2000, p. 624–653. 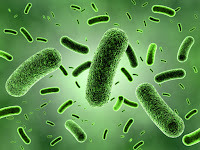 Thanks for sharing the information about bacteria. By the way, the title reminded me one sentence:"If winter is coming, if Spring far behind?"